WASHINGTON, DC, June 21, 2011 (ENS) – The U.S. EPA proposed the nation’s first national power plant mercury and air toxics standards in March. Today, in response to requests from members of Congress and to encourage additional public comment, the EPA extended the timeline for public input by 30 days. EPA will accept comment on the proposal until August 4, 2011. EPA Administrator Lisa Jackson said the extension will not alter the timeline for issuing the final standards in November 2011. The standards will be phased in over three years, and states have the ability to give facilities a fourth year to comply. “EPA will put these long-overdue standards in effect in November, as planned. In our effort to be responsive to Congress and to build on the robust public comment process, we will extend the timeline for public input by 30 days, which will not impact the timeline for issuing the final standards,” said Jackson. The standards will require utilities that burn coal or oil to generate electricity to reduce the mercury, lead, acid gases, and other toxics from more than 400 plants in 46 states. House Republicans will introduce legislation in August to postpone the proposed air-toxics rule, said Congressman Ed Whitfield, a Republican who represents the coal-producing state of Kentucky. “We want to delay the final rule,” Whitfield, chairman of the House energy and power subcommittee, said today at a nuclear energy conference in Washington, Bloomberg reports. “We don’t really have expectations that we can repeal all of this, but if we can delay the final rule, delay the compliance period and address whether or not technology is really available, then I think we’ve accomplished a lot,” Whitfield said. The EPA says that currently, more than half of all coal-fired power plants already deploy widely available pollution control technologies that are called for to meet the final rule. Once finalized in November, these standards will ensure the remaining coal-fired plants, roughly 44 percent, take similar steps to decrease dangerous pollutants. “These standards are critically important to the health of the American people and will leverage technology already in use at over half of the nation’s coal power plants to slash emissions of mercury and other hazardous pollutants,” said Jackson. Mercury can harm children’s developing brains, including effects on memory, attention, language, and fine motor and visual spatial skills, says the U.S. Agency for Toxic Substances as well as the EPA. Other toxic metals such as arsenic, chromium and nickel can cause cancer. Mercury and many of the other toxic pollutants also damage the environment and pollute lakes, streams, and fish. Reducing toxic power plant emissions also will cut fine particle pollution and prevent thousands of premature deaths and tens of thousands of heart attacks, bronchitis cases and asthma attacks. EPA estimates the value of the improvements to health alone total $59 billion to $140 billion in 2016. This means that every dollar spent to reduce pollution from power plants yields $5 to $13 in health benefits. More than 20 years ago, the 1990 Clean Air Act Amendments mandated EPA to control toxic air pollutants. Since then, EPA has taken action to reduce mercury emissions from all the highest-emitting sources – except power plants. Some of the nation’s largest utilities, including the Southern Company and DTE (formerly Detroit Edison), have lobbied to delay, weaken, or block these safeguards. They claim that cutting emissions of mercury, arsenic, lead, acid gases, and other cancer-causing pollutants from coal-fired power plants will cause economic hardship. American Lung Association President and CEO Charles Connor today said his organization is “deeply troubled” by the EPA’s extension of the comment period. 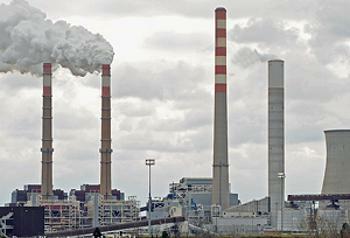 The proposed rule replaces the court-vacated Clean Air Mercury Rule. Click here to review the history of the regulatory and legal process leading up to today’s EPA proposed Mercury and Air Toxics Rule.